Using Multiple Monitors in Remote Desktop Session – Remote Desktop Services Terminal Services Team Blog – Site Home – MSDN Blogs. How to configure and restrict the maximum number of monitors offered over RDP in Win7 / Server 2008 R2. Solutions for Virtualizing Domain Controllers Part 1. Back when we were originally architecting our virtualization infrastructure, there was the question of which domain we should join our virtualization hosts to. And the conclusion was to simply join them to the primary DC in our single forest arrangement, but this caused obvious problems. For one, the moment we virtualize that DC, we are in a precarious and untenable ‘nested’ dependency situation: the DC which is required to maintain the integrity of our HV cluster is itself hosted on a member cluster node, an impossibility. And so the backoff position was to move away from domain joined cluser nodes to a simple workgroup, while dropping the CSV and cluster failover functionality for the moment (which requires domain joined nodes). But ultimately, we do need that cluster failover functionality along with the other management benefits that are only conferred on domain joined machines. One solution is to commission a pair of highly available physical(!) machines as a primary and secondary DC as part of an entirely orthogonal forest for the sole and exclusive purpose of managing the virtualization cluster. But what an inefficient use of hardware, when one of the primary purposes of virtualization is hardware efficiency and consolidation! The link here discusses the workgroup and ‘separate domain’ options in further detail. I am also investigating the creation of a read-only physical backup DC which can exist in support of the primary forest, keeping the number of forests at one and allowing for the safe virtualization of the primary DC 0n a cluster node joined the the same domain. I’ve been running jailbroken on my 3GS for some time, but hadn’t made the effort to get the MyWi application working. Got it working last night, after downloading MyWi through Cydia. Magic! Not only is my WiFi only iPad just as good as any 3G capable one, but I can share my WiFi connection with all iPads and laptops in use on family roadtrips. Deploying Virtual Desktop Pools by Using RemoteApp and Desktop Connection Step-by-Step Guide. 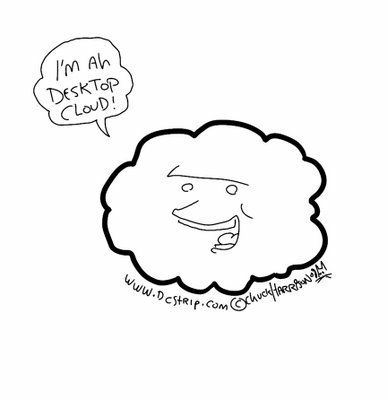 Create virtual machines for VDI. Useful script for creating a pool of identically configured machines to either assign to users from which to create pools in the context of Connection Broker. Waking the virtual machine… – Neowin Forums. See the trick here about ensuring that the RD Virtualization Host (that’s the server with the Hyper-V role installed, or a Hyper-V Server 2008 R2 box, that hosts your virtual machine pool) reverts to the RDV_Rollback snapshot on logoff / login of a different user. This prevents one user from ‘polluting’ the machine with extraneous personal data prior to the reuse by the next user. Download details: Update for Outlook 2007 KB933493. Q. Can I use the free Hyper-V Server 2008 R2 for my Microsoft Virtual Desktop Infrastructure VDI environment? Q. Can I use the free Hyper-V Server 2008 R2 for my Microsoft Virtual Desktop Infrastructure VDI environment?. Were you wondering whether you could use the standalone (and free) Hyper-V Server 2008 R2 as the host for your desktop operating systems (Win7) in an all-Microsoft VDI deployment? This short article from John Savill over at Windows IT Pro asserts a resounding ‘yes’. If you try and install the 2008 Server R2 SP1 beta and run into issues related to unsupported languages, simply run lpksetup from the command line, and remove unwanted/unsupported languages and then repeat the install. Microsoft TechEd Video: Microsoft RemoteFX: Rich Windows Desktop Experience for VDI and Session Virtualization. Fantastic overview of RemoteFX as presented at TechEd in New Orleans this past June, 2010.